There is always much to make one feel angry and discouraged and the Venice Architecture Biennale (more on that later). But then something unexpected and magical happens to save the day and remind us why this event (and city) is so special and worth coming to every year. 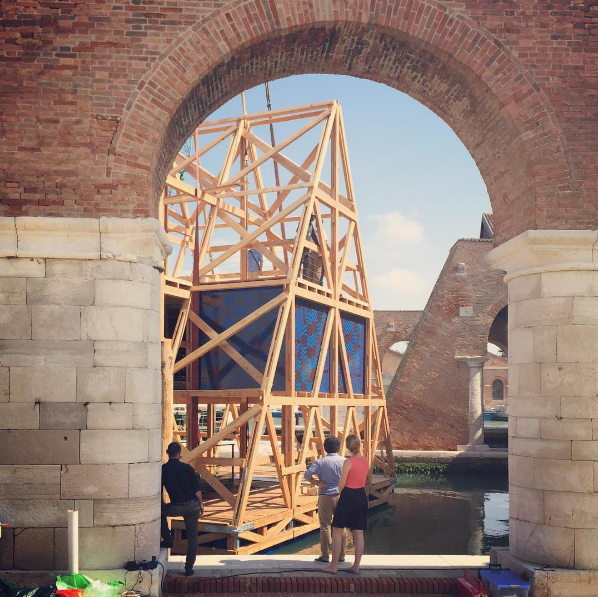 NLÉ‘s Makoko Floating School project is well known, but a new one was constructed for the Biennale and floated down the Grand Canal to be stationed at the Giardini. In this case I was not able to be a witness to this floating event, but I ran into photographer Iwan Baan in the Arsenale and he forwarded this to me. I could not resist sharing this video. Thank you, Iwan!